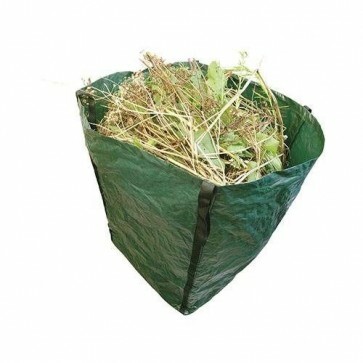 Brand New Garden Sack Heavy Duty Green UV-resistant polyproplyene tarpaulin. Produced from pierce-resistant material. Strong webbing corner handles and stitched seams. 360Ltr capacity. Size 600 x 1000mm.